Most tourists just see a glimpse of this spectacular Caribbean island by cruise. 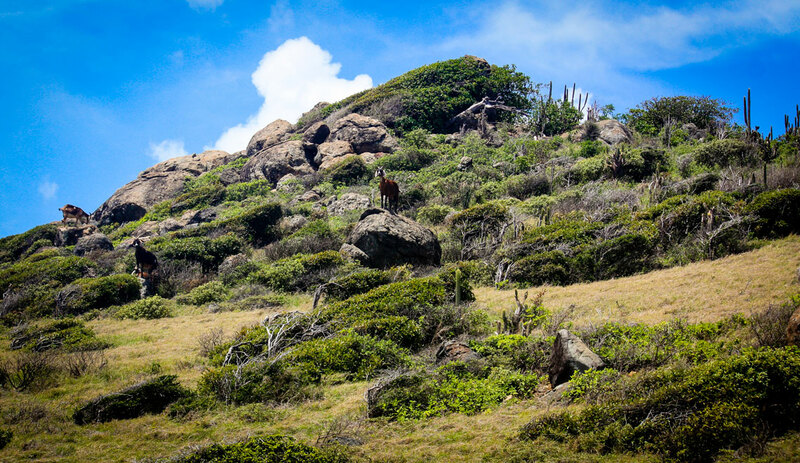 If you spend a long weekend on Sint Maarten, you understand there is so much more to see and do. We are regular visitors and every time we explore and learn more and more of this dual-nation island. Let us show you he best ways to enjoy Sint Maarten. I believe St Maarten has it all: the postcard-perfect beaches, the gorgeous turquoise sea which you can enjoy from almost any angle on the lush mountains and the best cuisine because of the French, European, and Caribbean influence. Despite its small size, I have never been bored or had to look for something to do. And though it’s one country, with 2 island colonies, it’s like you are able to explore 2 destinations at once. On one side you have the exotic rum cocktail of French gastronomy on the other side the Dutch colorful buildings and their tolerance. The Dutch side of the island is very colorful and lively. If you like to have a more lively experience I would recommend you to stay on the Dutch side. It is easy to do any of the tours and most outings geared towards tourists are best to do from here. Wander the cobblestone streets of Philipsburg and browse the duty-free shops. Must see in Philipsburg is the Methodist Church, the Wathey Courthouse, the old street with the colonial buildings and it all is just steps away from the beach. Philipsburg is the capital of the country and the best place to shop and find souvenirs. The best summer dresses I own are found in this long shopping street. And if you like parties and nightlife this is the place to be! Sint Maarten is the ideal hub and the Princess Juliana airport will take you to any of the other Leeward islands. It is easy to do a day trip to St Barths from Sint Maarten, like I have done, or go to Anguilla or Saba. According to what I have read, Simpson Bay would be the perfect choice to stay if you like to be near cute rum bars and some shopping. We weren’t that impressed with Simpson Bay, it didn’t feel like the best surrounding to stay with the neon stretched nightclubs and all the gambling spots. But maybe it’s just me because lot’s of people enjoy the surrounding. It felt very touristic, busy and didn’t add to the island vibe in my opinion. But that’s just me. Maho Bay is the most photographed and well-known beaches of the island. It’s near the airport runway and it’s popular for watching the airplanes and private jets take off and landing. It feels like you are able to touch the plane landing as it is just a few meters above you. And quite entertaining is to look at the people standing in for of the jets when they take off. People get blown away and sandblasted by the power of the jets. I would recommend not to try this, we did and it’s not so fun. The jets blast off very hot air and with the big airplanes, you get blown over in an instance. Looking at others been blown away if way more fun! When I cross the imaginary border to the French side, for me it feels a bit like being back in Europe. But the temperature is just a bit nicer. The charm of a holiday abroad is the make yourself understandable in a foreign language. It adds to the experience, as well as to be able to talk to anyone without them understanding what you’re talking about. Dutch is my native language and we learn English, French, German from an early age. But it’s a shame I was better at math and science. I am still struggling with any other language, but know some very basics words. I am sure there isn’t a better place in the Caribbean if you love food. St Martin (as the island is called by the French) is the Culinary hotspot of the Caribbean. For french cuisine, fresh lobster or the best Caribbean barbecues you need to be in Grand Case. We have stayed a few nights in Grand Cas and the main street in town is filled with the best restaurants. I checked the reviews online but there wasn’t a bad choice to make. Whatever food you like they serve you the best. It’s such a delight to stay in this town if you enjoy food as much as I do. Marigot is the largest city on the french side and offers some shopping and restaurants. The city isn’t as vibrant as Philipsburg. To me, the town looks a bit old. It has a lot of potential but isn’t showing. Do you want to have a great relaxing day in paradise? 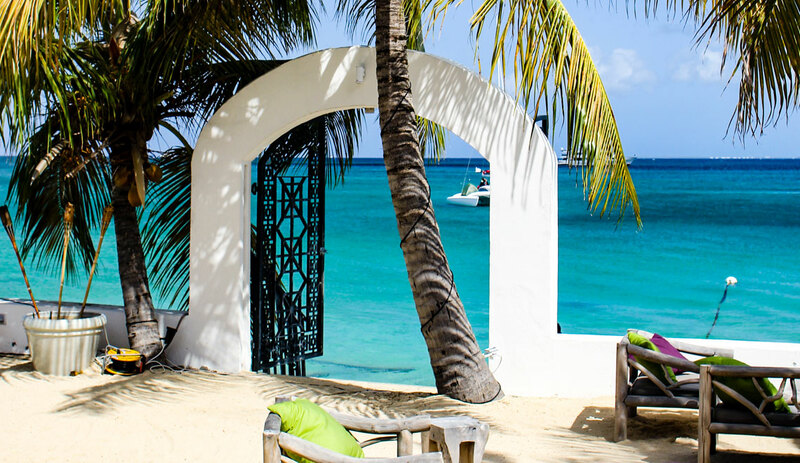 Spend a day at Ile Pinel, a small island off the coast of Orient Bay. Take a quick ferry ride just north of Orient Bay. The ferry drops you off at the dock near the beach. There are plenty of chairs and umbrellas. I would recommend going early to have a spot, it can get crowded. Lot’s of boats gather here, and it is easy to understand why. The pristine perfect blue water attracts anyone who wants to have a good time. We had a great lunch at the edge of the water. Try the fresh lobster! We have been told this is the best snorkeling spot on the island. So we went for it. We have been spoiled with the clearest waters in Curacao and the incredible ocean life. Snorkeling here isn’t comparable to any of the other surrounding islands I have written about. 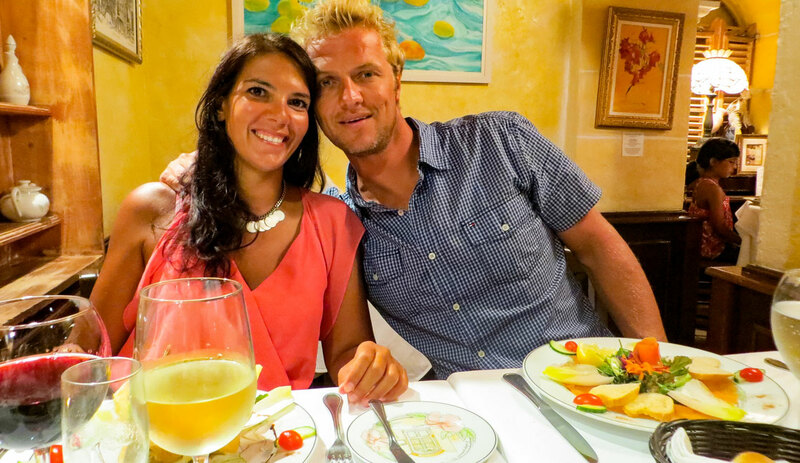 For typical French Cuisine go to L’Auberge Gourmande and the food at Bistro Caraibes was just to die for. Sailing or watch the sailors during the Heineken Regatta. This is one of the biggest sailing events on the island and attracts lot’s of tourists and is just fun with lots of performances of local and international artists. Taste rum at one of the local distilleries. Guavaberry is a popular one and sold everywhere on the island. Plan a day trip to one of the surrounding islands: Go and induldge in the decadent lifestyle of St. Barths or see Anguilla’s beautiful beaches. To be completely honest I could see myself staying, not to go back. St Maarten has it all: beautiful beaches, dazzling turquoise water, tasty food, great wines, a bit of a European vibe, Caribbean flare, rugged nature, island hopping, great connections to other destinations, watersport activities, and I can go on and on and on….. I rest my case, I am sure you will love it!